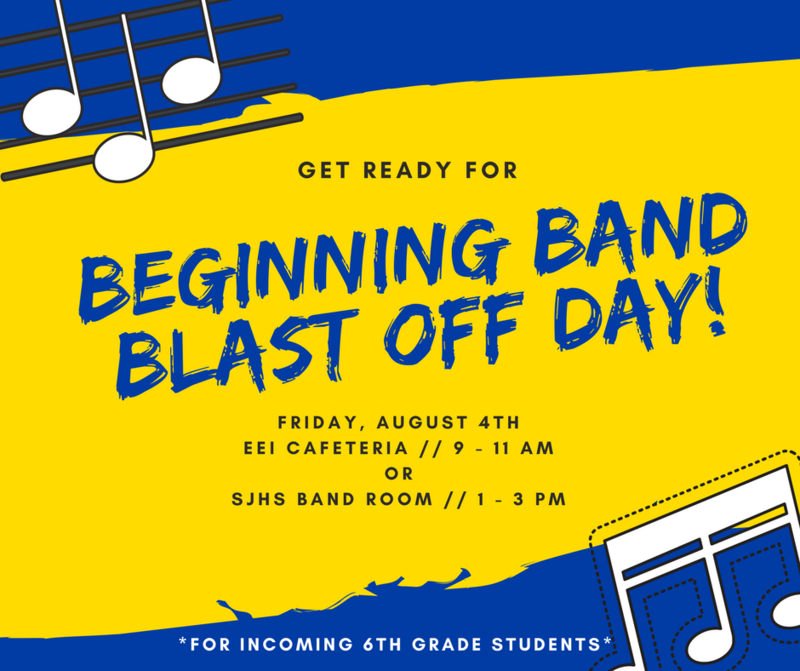 Summer Band Blast Off Day for EEI & SIS 6th grade beginning band is Friday, August 4th. Students can attend either session. Please note that the afternoon session is at the junior high, not the intermediate school. We will be sending a letter home to parents soon. Click here for a copy of this letter.